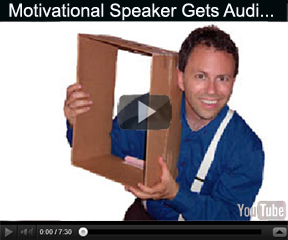 Motivational Speaker San Diego's Milo Shapiro - Motivational Keynote Speaker - improvisation fun! glad they came...and want to come back! Bring out the PLAY in your attendees! valuable business lessons shared by fun. Watch Milo's video or click on a specific speech to learn more about how Milo will make your event remarkable... and get attendees interacting more throughout your conference! ©2016, Milo Shapiro. 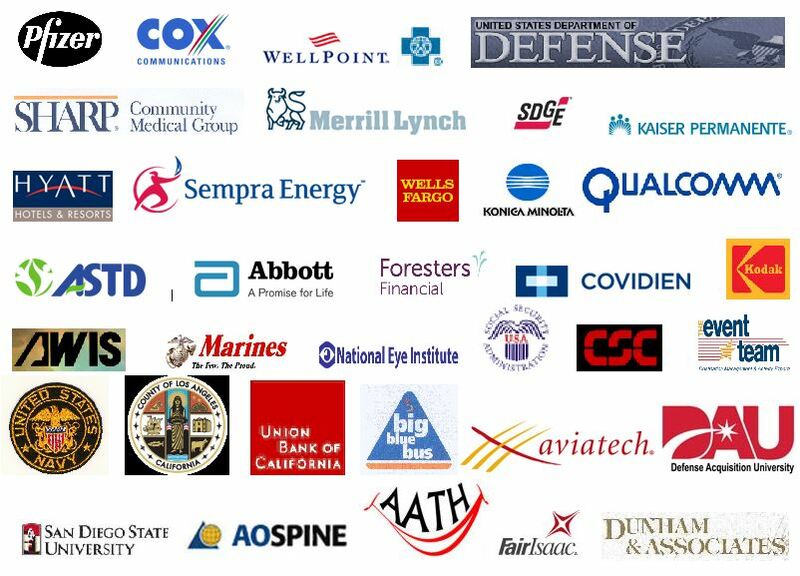 San Diego Motivational Speaker, Keynote Speaker, & Interactive Speaker is available across the USA, Canada, and internationally to create fun for your conference event. 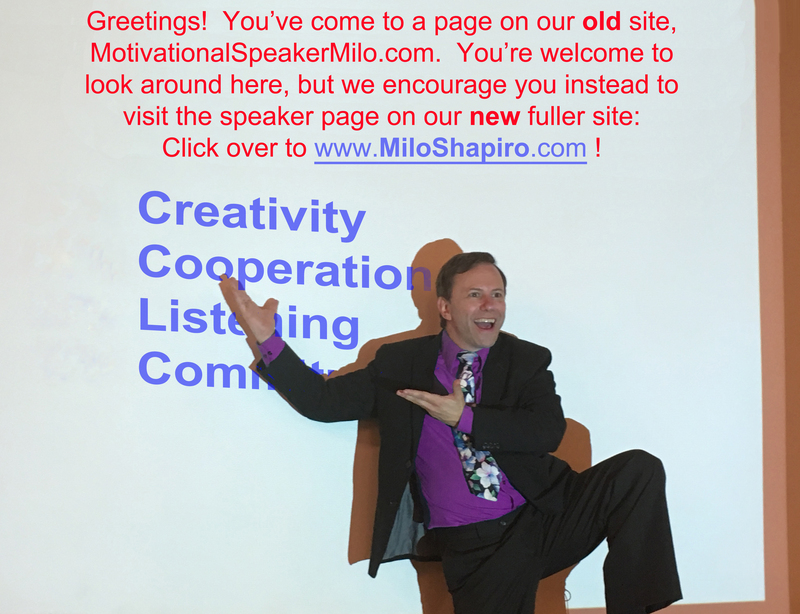 Milo Shapiro's programs are known as conference speaker, inspirational speaker, improv speaker, keynote speaker, and after dinner speaker. His use of improvisation to make conference keynote programs interactive and fun by getting attendees playing improvisation games makes these speeches and activities more fun than just a lecture speaker. Milo is also reknowned for his improv teambuilding events detailed on the Milo Beyond Speeches tab and his adult-play Simon Says (Simon Sez) programs that show us that there's a kid in all of us (and s/he probably isn't any better at listening than s/he was at age nine. If you're looking for something with more entertainment but still a little substance, consider his duo / trio keynote entertainment program where 2-3 improvisers perform 10 improv games that prove 10 business principles. Audiences love the fun; management loves the lessons that get shared. More on the "Speeches" tab.